Have you joined the Power of Travel Coalition? A pair of Republican House bills is aimed at improving the Transportation Secretary Administration's (TSA) response to airport emergencies and its investigations of potential criminal threats. When federal employees get together for training and meetings, fancy lunches aren't on the menu anymore. In fact, food of any kind—tuna fish sandwiches, green salad, oatmeal cookies—can no longer be served by the government. Even coffee is off-limits. As airlines in the United States push for a review of established Open Skies treaties, a conflict has developed between the interests of select aviation industry groups and those of U.S. travel and tourism organizations. Miss an issue of The U.S. Travel News Brief? Click here to visit The U.S. Travel News Brief archive page. Fuel prices, including jet fuel, have fallen dramatically over the last several months, yet airfares have not dropped for consumers. Some airlines, such as British Airways, impose a fuel surcharge, which boosts the price of a plane ticket for travelers. They did it when oil prices were over $100 a barrel, and most are still doing it even though oil prices have fallen 55 percent since June. Meetings Simplified™ by Hilton Worldwide is the small meeting solution you’ve been searching for. An all-inclusive basic package—with meeting room, basic Wi-Fi, flipchart and markers and non-alcoholic beverage service—all in one simple contract. It’s the smarter way to meet, so find a location now. Experience the flavorful combination of spirited festivals, savory cuisine, breath-taking scenery and rich cultural history that is Lafayette, Louisiana. Choose one of our special travel packages or let us create one just for you. For an experience, not just a vacation, there’s no place like Lafayette. 1-800-346-1958 or Lafayette.Travel. A Journey into the Past! A powerful testimony to the rich history of the antebellum South, Oak Alley invites visitors to explore all facets of her plantation past. She offers the enchantment of one way of life without compromising the significance of another. Here indeed is an experience as compelling as the plantation's famous allee' of oaks. Commenting on travel-related findings in a U.S. Department of Labor employment report, and a U.S. Department of Commerce export report, David Huether, senior vice president for research and economics at the U.S. Travel Association, reports positive trends, despite an increasing dollar. A law forcing you to take vacation days? Sounds like a bureaucratic gift, but in Japan, it’s meant as a workaholic intervention. This week, the story of a Detroit man who commutes 21 miles a day, mostly by foot, went viral because America's public transportation infrastructure is so bad. And according to a report released last fall by the U.S. Travel Association, our highway infrastructure is getting to be just as bad.The study examined highway usage data and estimated highway growth rates along some of the major interstate corridors in the U.S.
Travel is a primary driver of our economic recovery, helping to put Americans back to work by adding jobs faster than the rest of the economy. 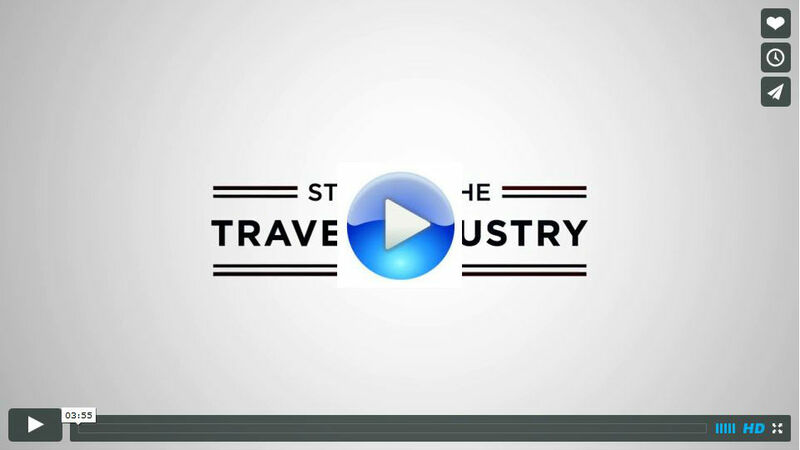 Take a moment to learn more about the future landscape of travel in this brief video message from U.S. Travel President and CEO Roger Dow. Register for IPW while you still have the chance. Exhibit space in Orlando, Fla. is nearly sold out—very few booths remain. Make the decision today to join us for IPW 2015, May 30-June 3. Booth assignments have begun and the housing bureau is open and taking reservations. Appointment scheduling opens next month. You already know that international travel to the U.S. is on the rise. Capitalize on this forecasted growth—secure your share of the $4.7 billion in future travel that will be booked at IPW this year alone. See you in Orlando! This edition of the U.S. Travel News Brief was sent to ##Email##. To unsubscribe, click here. Did someone forward this edition to you? Subscribe here — it's free!